Join fellow Assemblers for "An Evening with Neil deGrasse Tyson" at the Pasadena Civic Auditorium, and/or dinner before at the Blind Donkey. I will be in sitting in Loge Left. There are still plenty of tickets available including some VIP tickets to meet the man himself. Also, I am going to have dinner and drinks at the Blind Donkey at about 5:45 and walking the .5 mile (1k) over to the event for anyone who wants to join. 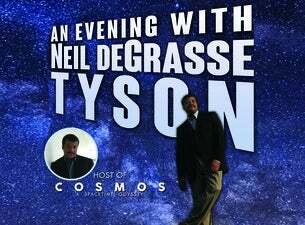 Buy your own ticket through: http://www.visitpasadena.com/events/evening-neil-degrasse-tyson/ If you would like to sit with/near us, please see our seat numbers in the comments below. Can we get a whole row? im sitting in: Section LOGE L, Row E, Seat 29 these are pretty decent seats at mid price on an empty row get tickets quick to join us!